Seeing as I took my week-long trip to Tucuman and Salta over 2 months ago, this post has been a long time coming. And since it’s no longer fresh in my memory I decided to just re-type what I wrote in my journal on the trip back to Buenos Aires on July 25th. I did this entry sort of stream-of-consciousness (more to trigger my memory than anything), so I’ll fill in some details here or there, but all in all I think the style works since it’s so much to write about anyway!… I hope you enjoy! Left on a rainy Sunday. Met up with Jacquie and Courtney at a subway stop near my apartment, then took the 20-hour bus from Buenos Aires to Tucuman. Boots got soaked from the puddles and I ened up throwing them away when we arrived (they were old and worn out) and borrowing Jacquie’s for the rest of the trip. Arrived in Tucuman before sunrise and didn’t know the name or address of our hostel. Had breakfast in a 24-hour cafe at the bus station until the sun rose, then tried (unsuccessfully) to find somewhere with Internet access. Found a tourist place at the bus station and decided it was Hostel Tucuman we were staying at. Took a cab there and weird hostel guy couldn’t find our reservation. He checked us in anyway and said we could go to our room “when people wake up.” We asked if they had a place to store our bags in the meantime and after hesitating, he said yes, and led us to a garden shed/pantry that didn’t seem to have a lock. We stored our things there next to some bottles of coke. We asked him about excursions but he said they were all full for the day. He recommended catching the bus 118 from a nearby corner to see a “beautiful park” called Cascadas up on a nearby mountain. We walked to the corner but didn’t see a bus stop so we asked in a store. The guy who worked there hesitated, then said that the 118 “sometimes comes.” Waited another 20 minutes (laughing our heads off at all of the funny experiences we’d had already) until finally showed up. Took the 118 for over an hour up a hill/mountain outside Tucuman. Most people got off at an earlier stop with a pretty view of the city but we and a Dutch couple stayed to go on to the Cascadas park we’d been told about. The bus dropped us off 20 minutes later on the side of a road with a sign announcing a national park, but no entrance in sight. The one guy who was there fixing the fence said we could go in (by going under the fence and down a very steep hill into what appeared to be dense forest) but that it was very, very muddy. He handed us a brochure with no waterfalls at all on it (the literal translation of cascadas is waterfalls). We opted out of entering the seemingly nonexistant park and instead took pictures and waited 45 minutes for the bus to come back. 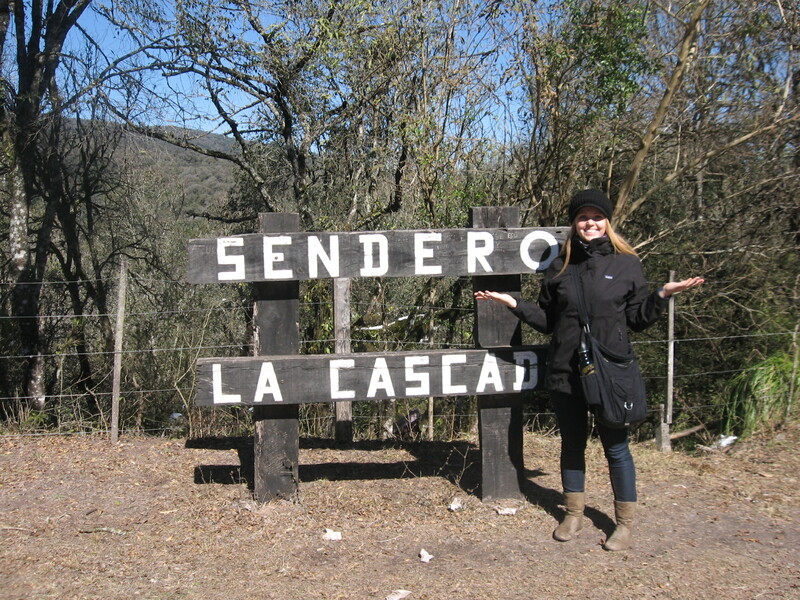 At the Cascadas park that didn't exist - we were supposed to go in by crawling under that fence behind me! Took the bus back to the stop where everyone got off before. 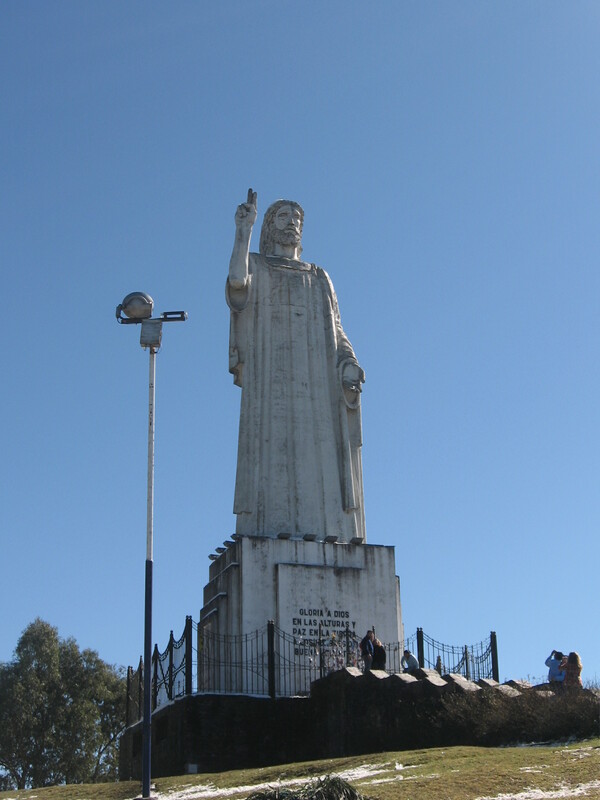 Turned out to be a huge statue of Jesus and pretty views of some mountains and the city. Had to wait there for 4 hours for the next (and last) bus to take us back to Tucuman. Took lots of pictures & Courtney fed some stray dogs. Saw some horses grazing knee-deep in mud and realized that might have been us if we’d stayed at the Cascadas. Had coffee and bread at a little hut overlooking the mountains, then crammed onto the bus to go back to town. Arrived in Salta a few hours later with the name and address of our hostel. Took a taxi to that address and although it was on a busy street downtown, there seemed to be nothing at that address. Found a tourist place that gave us the right address and took another cab to our new hostel. 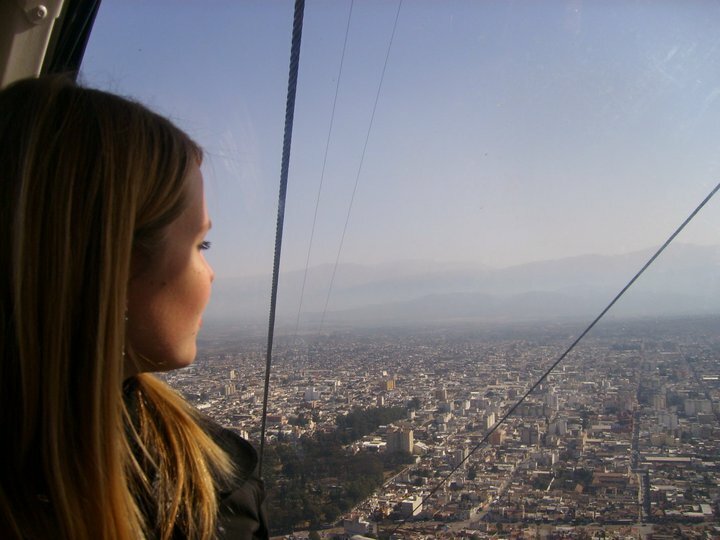 It was much quieter and nicer than the one in Tucuman and we immediately decided we loved Salta. We decided right then and there to change our bus tickets to stay four days instead of two. Got a room with a private bathroom and a heater for the first two nights, which seemed like heaven. Spent the first day exploring. 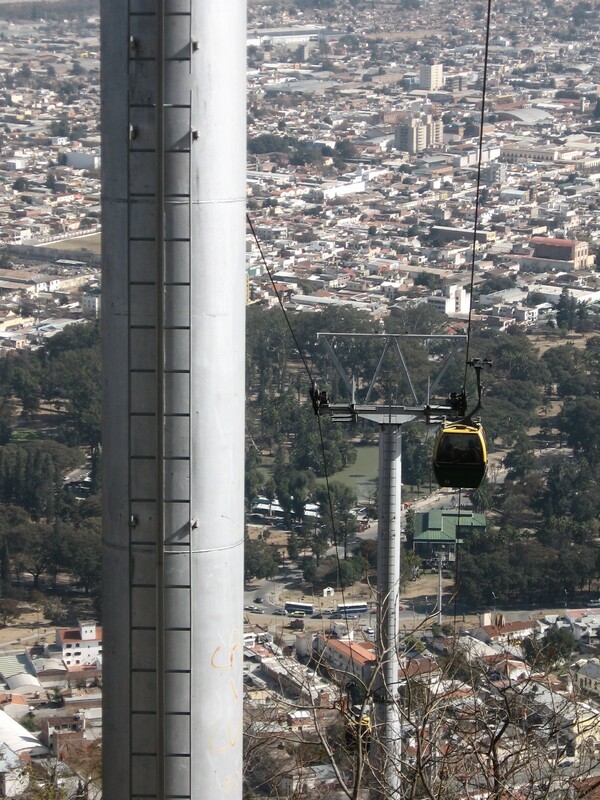 Courtney was sick so Jacquie and I took gondolas (the ski-lift kind) up a huge hill overlooking Salta. Found an antiques/vintage store at the top and had the worst pineapple juice I’ve ever tasted (think canned pineapple-tasting syrup). 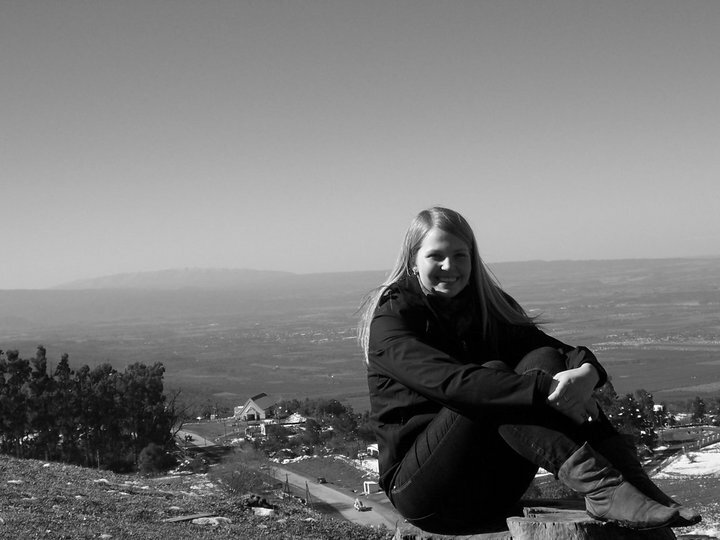 Admired the view then picked up Courtney and had coffee and snacks at a restaurant near the main square in Salta. 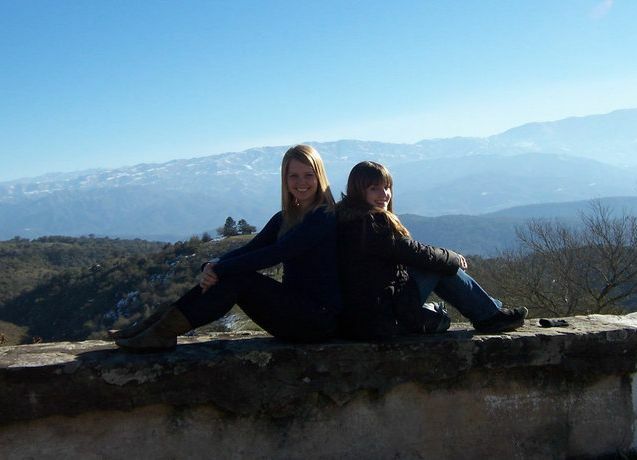 Courtney went back to the hostel to sleep and Jacquie and I walked around the square exploring. Ended up back at the same restaurant again for dinner then headed back to the hostel for an early night. 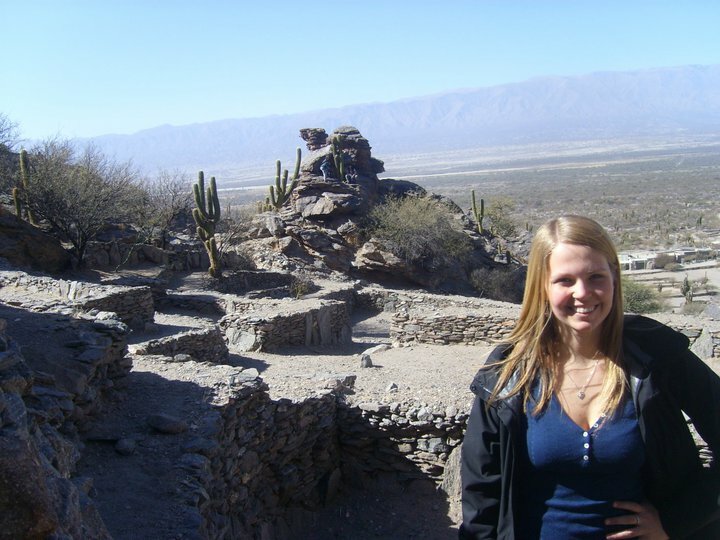 Took a trip to the Quilmes Ruins and Cafayate the next day. Pretty drive through Arizona-looking terrain turned out to be 4-5 hours back toward Tucuman. Ruins were slightly disappointing (I’ve seen much cooler ones before), but lunch in Cafayate was delicious and wine tasting at organic winery was fun. Went to dinner in Salta again at a place recommended by our tour guide. The host couldn’t pronounce Jacquie’s name so he put us on the list as “los Estados Unidos” (the United States). Ate some yummy local food, then went back to the hostel and passed out again. 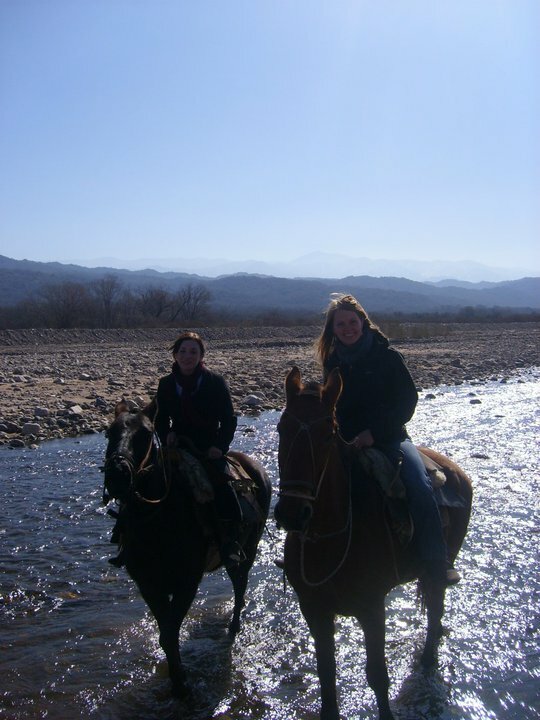 Next day was all-day horseback riding. Three hours through the mountains in the morning was gorgeous, even though I was the only one who had never really ridden horses before. Yummy lunch of steak, salad and bread, then more riding on flatter terrain through small towns nearby. Trotting and galloping used muscles I didn’t know I had. 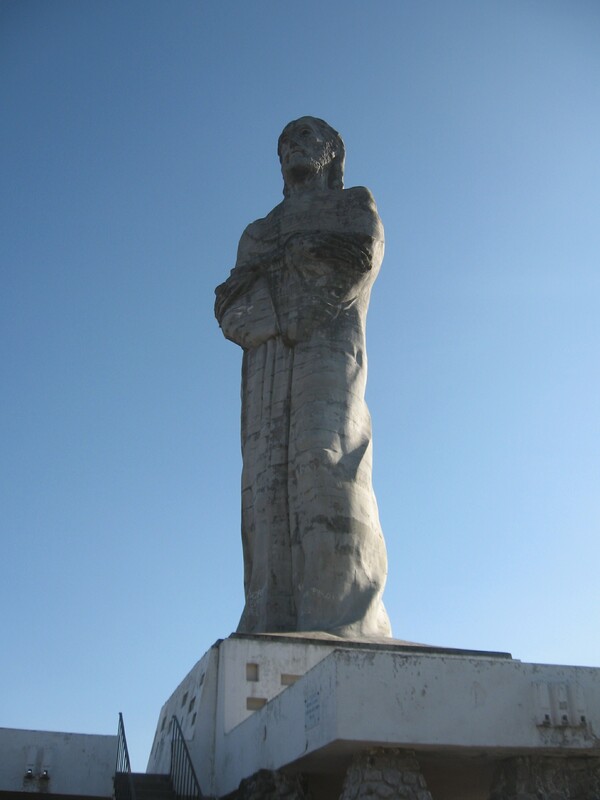 After about 2 1/2 ours we arrived at our destination; another huge Jesus statue on a hill. I was nearly in tears from the pain in my knees and back and the bad rug-burn on my legs. Drank some water, then back on my horse for the long ride back. By the time we got there I could barely walk. 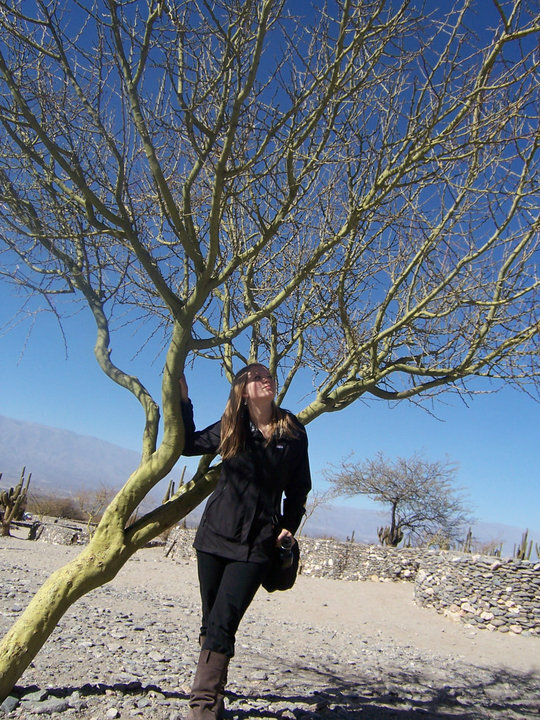 Drank some coffee and headed back to Salta where a shower made me feel like I’d been reborn. 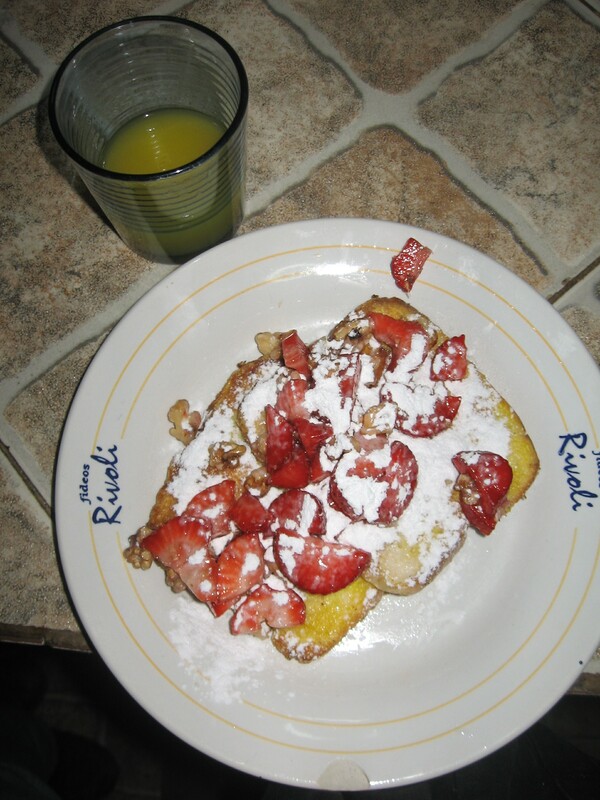 We decided to make an American breakfast for dinner, and had amazing french toast (with strawberries, walnuts and powdered sugar) and scrambled eggs. Watched the Argentine version of “Dancing with the Stars” then went to bed. Slept in Friday and woke up around noon to a very sunburned face and sore legs. Walked around the market by our hostel for a while and did some shopping, then went into town near the plaza to find an ATM. 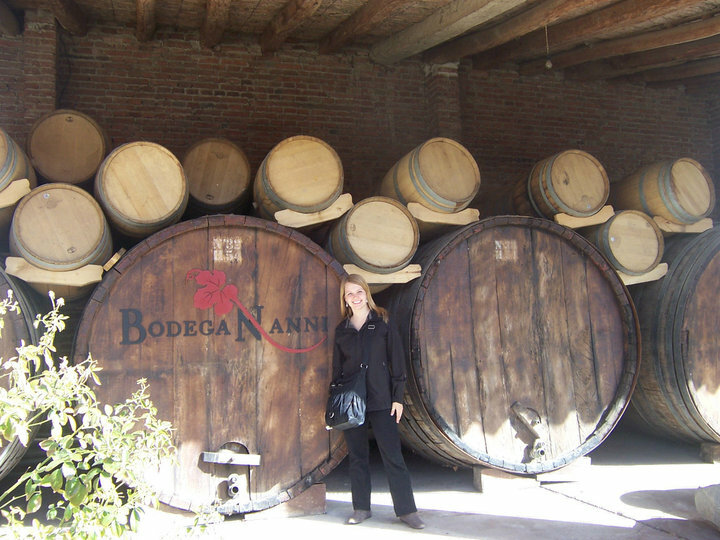 Headed back to the hostel so Courtney and I could sign up for our fall classes at the University of Belgrano (online). Had tamales and wine for dinner, and hung out with some Argentines that we met at the hostel that night. Caught our bus to Jujuy at 9:30 the next morning and slept for the entire 2-hour ride. We collectively decided that we were far too exhausted to do anything in the few hours we had to spend in Jujuy, so we spent a couple of hours in a cafe, then took naps at the bus station while we waited for our bus. A few hours later we were finally on our way back to Buenos Aires. It’s now Sunday afternoon and we should be arriving back any minute. I had a fun time and learned a LOT about traveling that will hopefully make my future trips go much more smoothly. I’ve stepped out of my comfort zone in many ways this week, and been colder than I think I ever have in my life. But I also have a lot of funny stories to tell and I am so much more grateful for the little comforts I get to enjoy in life. 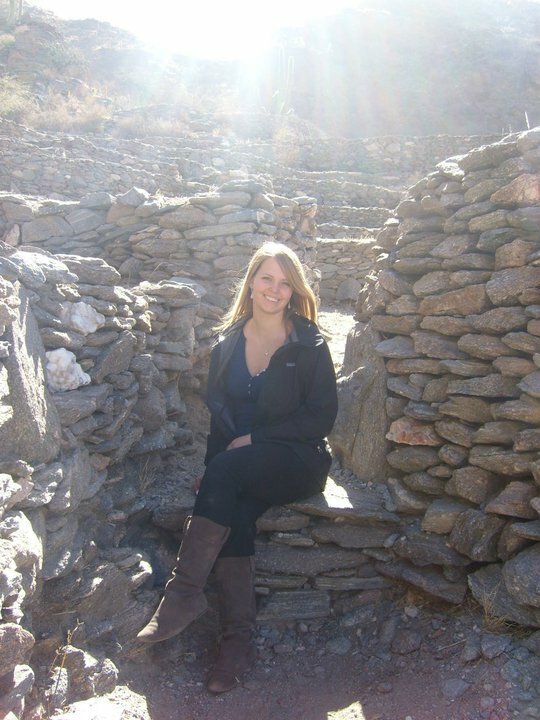 I can’t wait to be “home” in Buenos Aires, making new friends and enjoying my host family’s company and good food.